Halftone global map of world and rubber caption. Vector green title with corners and scratched rubber texture. 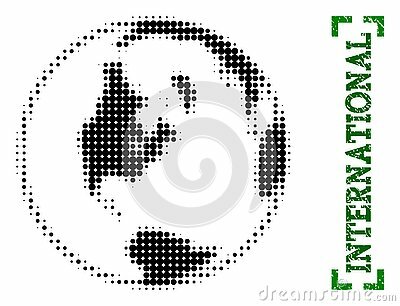 Halftone global map of world constructed with black pattern of circles. Set of 3D halftone dots spheres, on isolated transparent background. Vector elements for your design.